(Most here know that our Beckita, Managing Editor of this site, cares for an aging Chinese Priest, Fr. Wang. Actually, Fr. Wang is an American Priest who was born in China. When the communists took over and started their reign of terror, Fr. Wang came to America where he has remained ever since. He writes Catholic Evangelical and Catechization Pamphlets which are distributed in China. A week or so ago, I watched this short video Beckita sent as a tribute to Father’s life. It is amazing – and profoundly inspirational. It encapsulates the tragic history of China for much of the last century, while showing the impact one man who persists and endures can have. I particularly like it because, for those who will see, it shows a man who has already lived through a great and terrible storm. It illuminates the virtue and courage that are called for to endure such a storm – and be a sign of hope to those who endure it with you. I am proud that Fr. Wang is part of our community. A gentle, soft-spoken man, he epitomizes the exhortation to “Acknowledge God, take the next right step, and be a sign of hope,” because he has lived it all his life and continues to live it today. This story also gave me deeper insight as to why Beckita was such an inspired pick to manage this site. I share, again, for those who may be relatively new here, that more than thirty years ago when I was on staff at a local parish, my family “adopted” an American priest of Chinese origin, Fr. John B. Wang. Our children grew up calling Father, “Grandpa,” and with the passing of my husband, I committed to providing care for Father as he continued to age. I have lived in residence with him since shortly after becoming a widow and, knowing that all of Father’s family remains in China, our bishop – who has since moved to another diocese – warmly thanked me for this willingness to assist. It is, also, a joy to collaborate with Father in all kinds of ministry activities. Neither he nor I would have dreamed or foreseen that our lives would evolve to be what they are at this juncture, yet, here we are. On pilgrimage to Europe in 2001, when some of our days were spent in Avila, providentially, we dedicated our friendship and ministry work to St. John of the Cross and St. Theresa of Avila. Fr. Wang celebrated his 90th birthday in October and to honor him, his life and God’s wonders in him, I composed a song of simple melody expressing thanksgiving to God and blessings for Father, a tune easy to pick up so that our guests who came from near and far could readily join in the singing at the end of the Mass of Thanksgiving. I, also, put together a Power Point presentation, using that platform as a storyboard, which we viewed at the dinner. After the celebration, it was converted to movie format which I share with you, here, in the context of some of the themes and virtues we have been considering, pondering, discussing and developing in our lives over these years at TNRS and ASOH. From listening to years of such stories and witnessing the kind of priestly life Fr. Wang lives, it is clear to me that he has spent a lifetime acknowledging God, discerning, and then taking next right steps while beaming faith, hope and love to anyone so blessed to be on the Journey with him. Faithful in myriad little things, just as the Scriptures exhort, Father has been entrusted with a major undertaking which continues to be mightily blessed by the Lord. This brings to mind how often we have read Charlie reechoing that amidst the sufferings in this Storm would emerge joy as we strive to remain faithful to the Lord via the core message promoted here. Particularly amazing and hope-filled, amidst the troubling news reaching us from China, is that which God is doing through, with and in Fr. Wang as He works under the radar of China’s turmoil. Not in the least deterred by chaos and confusion, Emmanuel, seemingly born in obscurity on that Holy Night in Bethlehem, remains with us and in largely unknown, rather quiet ways, He is piercing the current darkness in China with His Light and His Infinite Redemption. Again, He chooses human instruments to be His tools of Mercy, to proclaim and build His Kingdom. As special as Fr. Wang’s life story is, he views himself as an ordinary man. And it is evident that this ordinary and holy man has spent a lifetime of listening to God and responding, repeatedly, with his fiat in ways small and large. God, then, used the many, varied and sometimes unusual pieces of Father’s life and merged them to become a foundation for his role in the evangelization work to which God has called us. In our “China Evangelization Project” as we have dubbed the work, my role, in human terms, is a sliver compared to Father’s, yet, I gratefully man my post, both in employing the gifts God has granted me so I may accomplish the tasks for which I am responsible and, also, in all the ways I help Father, when he needs it, to accomplish his work. Both of us are needed along with our colleagues on Chinese soil. My daughter’s children, who spend some time during the week with Father and me, call him “Lo Ye Ye” (Chinese for Great Grandpa) while he affectionately calls the girls “The Three Graces.” In this photo, Father sits with my three granddaughters as they put on their rabbit face poses. In 1995, on my first trip to China, Fr. Wang’s dream and prayer of fifty years was fulfilled: to baptize his people. I became Godmother to all 64 from the clan who were baptized that day. The pic below shows Father’s nephew, Paul, Fr. Wang and me as we were visiting Qingdao, a beautiful city in the eastern part of Shandong Province. Paul is our point man on Chinese soil for the evangelization work and we visit weekly via Skype. The following photo shows some of the Wang Clan who came to say farewell on our last day in China during our Evangelization Journey in 2015. One of the most overwhelming moments of each of my visits to China has become a tradition in our parting. See, this family of Wangs used to worry about who would care for their uncle as he grew old. Fr. Wang had written them, including photos of him with my family, as he explained that God had answered his prayer to be given a family in America. The mutual Wang-Hesse adoption was sealed. From the very first visit, there has come a time in the bidding of good-byes when every single person in that beautiful clan kowtows, in unison, in gratitude to me for taking care of their dear one. They go down on their knees with foreheads firmly pressed to the floor and most of us have tears streaming as they rise from the ground. ***For those who wish to contribute to the printing and distribution of the evagelization books which Fr. Wang has written, the donations are tax deductible. Simply make the check out to: Diocese of Helena PDF – China. But, please, don’t mail them directly to the Diocese. Instead, email me, Beckita, at : tnrs.answers@gmail.com and I’ll send you the snail mail address for getting your contributions to Father first. Fr. Wang, the glorious idustrious one, is keeping a personal record of contributions and after recording a contribution, he sends the checks on to the Diocese where records are kept for tax deduction purposes. Beckita, I’m chiming in belatedly to say how much I appreciate your write-up about Father Wang, your family’s beautiful relationship with him, and his family’s beautiful relationship with all of you. This is truly heartwarming. I look forward to watching the video but haven’t yet. Thank you, Sr. Bear. It does take a little chunk of time to view the video. Praying for your complete healing and all your ministry tasks. Hi, Beckita. I just now watched the video ~ both inspirational and touching. Prolly the hard part was deciding what to leave out!! What a beautiful life Father Wang has lived, with you and others accompanying him. Here’s a wee gem from Taiwan featuring Fr. John B. Wang’s brother, Msgr. Joseph Wang, my uncle 😉 . Msgr. Joseph served several bishops over the years as vicar general of his diocese. The Msgr is now 95+ years old and he just cannot bear to retire after erecting a church and two additional buildings to house a kindergarten and a health clinic. The current bishop has honored the Msrg’s desire to remain as pastor while assigning him an assistant priest and the mother superior of the order of nuns which the Msgr. founded has assigned one of the sisters to serve as his care giver. Yes, Audie, about recognizing Fr. Wang in some pics! I’m chuckling because some of the very photos I used for Fr. Wang’s video were used by whomever put together the video for the Msgr. after, it seems, they had seen the 90th birthday presentation. So great. BTW, Audie, Msgr. Joseph is telling some stories about how his own ministry work evolved over time. He doesn’t mention this in his words but one time he actually converted a whole tribe of mountain people in his area. Wow, both brothers are so very inspiring! Thanks for the additional info on Msgr. Joseph. God bless them. Father Wang’s family must be amazing, to have produced two such men. So true, Mick. The majority of the siblings have been farmers all their lives. Turns out their soil and climate are perfect for growing winter dates and this was only discovered in recent years. What a lucrative crop it has become. Here’s an incredibly incisive article which pierces to the core of concerns in our Church. As I have observed and read, we ARE in a crisis of faith, a time when attempts to change the unshakeable doctrines and dogmas which were developed from Christ’s teachings are cloaked in the “pastoral practice” phrase, much like the euphemism, “spirit of Vatican II’ has been utilized to surge ahead in promoting disobedience to the Teaching Magisterium as well as pushing for a grassroots revolt against Truth. Charlie, your good friend nails his points, I think. Sean, your Bishop’s good words are apropo to what Fr. Regis proclaims.I know we’re all praying, sacrificing, fasting… we just cannot give up as we pray, act and speak to defend Truth. Excellent article, Beckita. As I was reading I thought, I hope the Cardinals and bishops read this. But then I thought, my suspicion is that many wouldn’t care–my guess is that many have no faith. So sad. I pray that there are many radical conversions! Father Mark Goring, a true, heroic, prophetic Priest who was silenced from speaking out against the disgraced Cardinal Wuerl presiding over the upcoming March for Life. We do have prophets in our Catholic Church. I’ve not listened much to Fr. Goring, Joseph, to know exactly what he’s saying and what his delivery is like. I do know it surely takes a lot of fortitude to be obedient to superiors when one feels called to speak to the problems. God bless Fr. Goring. I happened upon this obituary news article of a retired Medical Doctor (Dr. Samuel Cassell) who founded a fullfilling medical practice. I love this quote. JoeCro, I’m so sorry to hear about your mother. I will pray for her, for you, and for your whole family. I will also pray for Luke and for his family. Praying for your Mum, Joecro. Also for Luke, Josie, and their family. XO. May God comfort you all and give you peace. JoeCro, Prayers ascending for your mum’s and Luke’s peaceful passing, and consolation to your and his families. Prayers continue, Broseph… prayers for your precious mum, you – her precious son – and all the family as you keep vigil on this Last Journey for her as darkness turns into Eternal Day when there will be no more night. She will not need the light of a lamp or the light of the sun, for the Lord God will give her light, for ever and ever. Praying, too, for Luke and his clan. Especially praying for Our Lady to wrap all who mourn in Her Mantle, granting strength and consolation. So sorry to hear about your mom, Joe. She is in my prayers along with Luke and his family. Lost my mom just over a year ago. Asking her to intercede on their behalf. In solidarity with you dear Joe. Prayers for your mom and you JOECRO,and for Luke and his family,so sad,may God give them strength and peace. Prayers also for the wonderful Father Wang and his mission! PMT said for Luke and his family through the intercession of Blessed Karl and his wife Servant of God Zita of Austria-Hungary. and Chaplet of Divine Mercy said for Mary Rose. I am so sorry JoeCro. I don’t have a link for my mum but here is one for Luke if you would like to see him and his family. Luke’s family is beautiful. May his passing be peaceful and his dear ones be sustained, strengthened and consoled until they reunite again… for eternity. Too, the Crozier Clan is a beautiful family. Haven’t seen you all but having seen enough of your kin over these last years, Joe, yours, too, will be an eternal joy upon reuniting. I smile as I remember the Face Time call at the Christmas when Fr. Wang gave your mum, his birthday year twin, the most beautiful blessing. Smiling, also, at the memory of how easily affectionate she was as she kept calling me, “Love.” It actually reflects what she so generously gave: Love. May Mary the Mother of God and St. Rose of Lima keep tender watch over their namesake, Mary Rose, in this labor of passing through the veil. Lots of prayers continue as everyone keeps vigil for New Birth… into Eternal Life with Christ’s Perpetual Light shining upon them. Praying for your mum and for Luke and his family. I’m sorry! Blessings to you all! 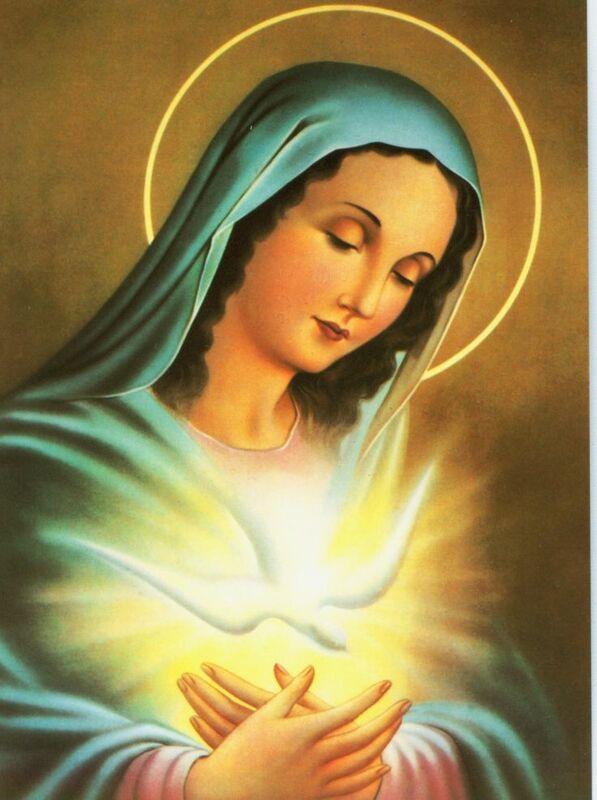 Praying for your mum,you and Luke and family.May the Holy Spirit,the comforter,be generous to all with Love. Graces upon graces carry you all. Joe, praying for your dear Mum, and you, as well as,Luke and his family. May they fall gently asleep amd wake up in heaven; may those who love them be comforted by our Blessed Mother. So happy to see pics of friend Stella! She is a force of (super) nature. Indeed, Mary Ann. Stella is a faithful tool of the Lord with the wisdom to have developed a foundation of prayer warriors who give her that bedrock of prayer to do her ministry… same age as Fr. Wang and she says she’ll die with her boots on. God bless her, you and all here. New York has near 30 Bishops (Includes Retired/Emeritus). I’m sure, in the next few days, we will hear of Catholic Protest Demonstrations for the Unborn led by the above … Right? …. Hello!!! My heart is sick. We are sinking deeper and deeper into evil, and, Cuomo want so much to be president. God have mercy on us and our children. Please pray this bill is defeated and we eradicate this culture of death, NOW. Absolutely praying for an end to this culture of death, Judith. It is so ugly out there. May we remain strong in our interior with our eyes on Christ as we place ourselves in Our Lady’s Immaculate Heart which she promised as our Safe Refuge. Today’s Gospel reading reflects where Jesus is at as we navigate these turbulent waters. Praised be Jesus! Beckita, what a beautiful painting! I’ve never seen this one before. Could you please tell me the artist and the name of the painting? I’d like to see if I could find a reproduction that’s not exorbitantly priced. My heartfelt thanks to all here for all your prayers. Some articles that may be of interest to you. I have yet to see anyone trying to “connect dots” to Argentina but …. IT is coming …. Methinks. McCarrick won’t get a full trial. Here’s why you should care. Blessed Karl of Austria, pray for us. No good can come from any form of communism/socialism. Our current generation is rebelling against God, all leftist ideologies rebel against God even liberals, feminists, LGBTQ, atheists, as they all hate God, and are out to destroy everything associated with God & Christianity including the traditional family. Most of the knowledge out there is lies designed to turn people away from God. The theory of evolution and liberal morality are all invented lies. Dinosaur extinction & age of earth & universe is fake. Morality without God is simply evil as we can see from the fruits of socialism & communism. Taking The Next Right Step for me has been trying to understand our predicament & how we got here. We need to understand the underlying motives & intentions of these so-called social philanthropists which is soul destroying evil of the worst kind. Our current generation’s rebellion again God – and us – goes back many generations of rebellious people. Same old, tired story; we want to be our own gods. I was reading some work on the rise of the Fed under Pres. Wilson, who was guided by his friend Edward Mandell House, and that we are ‘chattel” to our government and the banksters through our birth certificates and further enslaved in 1933 by the Social Security Act under FDR. This is so criminal. The web of deceit is broad and deep, like deep as hell. Wilson was in the implementation time with the scheming probably going back another 100 years. It unfolds even today and President Trump has disrupted their ‘new world order’. No wonder they want desperately to eliminate him. In their blindness they do not see that they are fighting God. Meanwhile, our poor children. Secret societies have a origin in Nimrod of the Tower of Babel, the first attempt to create a New World Order after Noah’s Flood. The plan was always to rebel & overthrow God. Education can be a liability if it’s all based on lies, we have many educated idiots who think they got life figured out nowadays. Socialism is what links Liberalism to apostasy & evil. It’s just a matter of time when artificial intelligence will be used to manufacture fake evidence against Trump. So true, Al! It happens that I was watching a 1943 movie called “Keeper of the Flame” last night. It is about a famous civic leader who dies suddenly in an accident. He was actually a homegrown American Fascist, bent on doing terrible harm to the US. At the end of the movie his widow has a monologue describing that she had found out about his subversive ideas, and the way he had intended to destroy America. When she described his tactics, it was identical to the tactics of the left in our country right now–sowing hatred between different groups, using people until they are of no use any more. I wish I had a link to that part of the movie that I could share with you. It made my blood run cold to hear it described, and know that that is what is happening right now, right here. Yes, it’s all part of connecting the dots. I’m not sure how we deal with such things aside from prayers, but we all need open our eyes and see all the deceptions that the smoke of Satan has been hiding from us. We need to acknowledge the evils and their true intentions if we are to see clearly enough to fully embrace God. I am reading Fritz Springmeier‘s info. On the 13 bloodlines of the Illuminati. You are a man of info. And experience. What are your thoughts on the Illuminati and whether there are Illuminati in the Vatican? Little One, many of those involved in the Illuminati are either Freemasons or have fashioned their offshoot branches of the Illuminati with Freemason ideas and ugliness in their foundation. If you would like to get a heavenly view of Freemasonry, you can read the locutions given to Fr. Gobbi. Our Lady coined a phrase in these locutions: “ecclesiastical masonry” and she said they had infiltrated the Church into its highest levels. Some words of Venerable Fulton Sheen have been recalled in the comments here on more than a few occasions. The holy Bishop converted the former communist, Bella Dodd, to the Catholic faith. According to him, Dodd had revealed that the communists had unleashed 1000 members who entered Catholic seminaries in America for the express purpose of doing interior damage to the Church. In reading the locutions, please keep in mind the principles of interpreting prophetic messages which lead us to remember that there are often layers of meaning in words, visions and additional types of mystical experiences. Here’s the link for the book entitled, TO THE PRIESTS, OUR LADY’S BELOVED SONS. It is commonly called the Blue Book, as well. In this response, I was reminded that you mentioned that Fr. Wang was a member of the MMP. This placed a longing in my heart to re-read all of the Virgin’s messages to Fr. Gobbi. I recall with great joy that the Mother of God told us that she was the Mother to all her Children, especially present in those families consecrated to her Immaculate Heart. To you and to all who prayed for my son, Samuel, I extend a heartfelt “THANK YOU! !” God has given a favorable response and Sam is starting back to work today, after an extremely long deliberation. We had time to complete one and a half novenas to St. Thomas More for God’s justice. The Virgin Mother of God has obtained Her Son’s Divine favor in this matter and I am so grateful to all those who added their prayers to ours. Polished Gems, you are!! The Stella Maris is our lighthouse in this storm. Let us continue to point our rudders towards her and steer straight and true! All glory to God for this update on your Sam, Marisa! The beginning of the year has been a trying time for people I care about. Maybe it’s been that way for you or those you love. My prayer for you, and for them, is that they may know the comfort of God’s presence. Whether it’s the popular little poem “Footprints” or the familiar “Yea though I walk through the shadow of death, thou art with me,” the presence of the Lord is absolutely vital to standing up against our anguish! The Lord does long to be with us, especially at those moments when we feel most alone. He told us that by experiencing it himself at the cross. Interesting, Joseph. The locusts comprised the 8th plague in Egypt so maybe this is a sign that we’re close to a big concluding movement, such as the Exodus… into the period of peace promised by Our Lady at Fatima. Maranatha! 13 So Moses stretched forth his rod over the land of Egypt, and the LORD brought an east wind upon the land all that day and all that night; and when it was morning the east wind had brought the locusts. 14 And the locusts came up over all the land of Egypt, and settled on the whole country of Egypt, such a dense swarm of locusts as had never been before, nor ever shall be again. 15 For they covered the face of the whole land, so that the land was darkened, and they ate all the plants in the land and all the fruit of the trees which the hail had left; not a green thing remained, neither tree nor plant of the field, through all the land of Egypt. From Rabbi Reuven Greenvald: “The drama of Parashat Bo is mostly terrifying. The mounting confrontation between the Israelites – represented by Moses and Aaron (but really God) – and the Egyptians – represented by an unnamed Pharaoh – reaches its crescendo with the last three of the ten plagues. We should strive to remember all of the innocent victims on both sides of every conflict.” This Rabbi’s words bring me, again, to the thought that the locusts were the 8th Plague before the finale that launched the Exodus. May we be close to the final leg of this Journey of the Triumph of our Mother’s Immaculate Heart, as well. But, then, I’ve also pondered how the Ten Chastisements named at Medjugorje may well echo the Ten Plagues of Egypt. Praying and pondering with next right steps as we wait for the secrets to begin being revealed. Fifty years ago today..errr tomorrow January 13th. The last 3 years have been the most difficult of my life. I asked God to serve and that was my answer. In the past weeks I have been flagging. Beckita, the video refreshes me. Tell Father Wang I have continued prayers for him every Tuesday and Friday. The church in China has always been a deeply felt concern. If Father Wang, with your help, can persevere in the race, so can I! God bless you, Julie. Let us be your Simon and lift your cross by lifting you in prayer. I’ll remind Father that you’re praying for him and continue to do so. May Christ imbue you with fortitude and with His Peace. From tonights vigil readings for the Baptism of Jesus – here is the product of my wandering mind after Mass tonight in my favourite Korean restaurant. Please remember I am just a Joe Blog not a theologian. “He does not break the crushed reed nor quench the wavering flame.” But He does take it to the wire more often than not – relentlessly it often seems. Every day. Every night. From the rising to the going down of the sun. And so this must be my purgation for having been such a great sinner. My relic kissed by The Blessed Mother in Garabandal carries with it the promise that I shall do my purgatory here on earth if it is worn with faith and devotion. And in scripture I am told I will not be released until I have paid the last penny. So be it. His justice is perfect. His mercy is from age to age on those who fear Him. But it is really hard going. I am also promised by Mary that her Son will work prodigies through this relic and the many thousands of other relics blessed by her kiss in Spain. Before I had read the commentary below the description of the Holy Spirit – in bodily form – struck me for the first time. He did not look like a dove but behaved like a dove – hovering over its dovecote before alighting/enlightening. And then I thought of One of Great Age and One like a Son of Man and now we have Another Person in “bodily form” and the mystery of our creation in God’s image and likeness reflecting the male and female essence that has always been there. We have so much to discover. So much of revelation to be understood. In some mysterious way this understanding of The Holy Spirit appearing in bodily form has made the Third Person more real to me, brought Him closer to my humanity and me closer to his Divinity. He is still not defined. Who can define God? It is through the understanding of the action of the Holy Spirit in our lives and cooperating with it – taking the next right step – that we will come to know him. Faith without works is dead therefore it is our works that give life to our Faith. And the Holy Spirit the vivificanter, gives life to our works. First of all, prayers for you in this time of really hard going, Broseph. And thanks for telling us so that we may lower our shoulders in prayer, under your cross, to lift it and assist you in this stretch. I don’t doubt, in the tiniest speck, Our Lady of Mt. Carmel’s promise about the pages pressed by her kiss at Garabandal. I have mine close to my heart. Thank you for your kind words Beckie. The temptation you surmise is that age old inclination to believe heaven is deaf to our pleas for help. I do not despair but I do complain and protest, perhaps too much. In other words my relationship with God is real albeit one that requires more work. I have sadness at the prospect of the loss of mum and Luke but that is natural and bearable. Luke continues in peace at hospice where his family visit him daily. Mum seems to have recovered a little but my sisters say she is still not good. Thanks to everyone for your prayers. Such mystery in suffering and waiting for prayers to be answered. Joe, may these words from one of my favorite teachers bring you, and all of us, strength, solace and new resolve. Still praying for your mother and Luke, JoeCro. I also have worried about time in Purgatory and how to get out of it. It is the fundamental reason I began the 12 year prayer of St. Bridget. As I am now in my sixth year, I strive to obtain a Plenary Indulgence (PI) each day. Usually once or twice a month for me and the remainder for Holy Souls in Purgatory. Now, it usually takes a little bit for me to fully accept and understand things. As we all understand a Plenary Indulgence is Full and complete remittance of punnishment (no purgatory) due to our sins. This was my thought process in an earlier thread toward Jesus stating His yoke is easy, His burden light. My favorite and best way to obtain a Plenary Indulgence is praying the Stations of the Cross immediately following Confession. Or I pray to God to place myself in a state of Grace before. Praying the Rosary in Public, or with others, or after mass gets a PI. I continue with my 12 year prayers as they are a wonderful portion of my daily morning prayer. I am so thankful Jesus has provided ways to impart His mercy toward others, notably the sufferring Souls in Purgatory. Well, I’m running out of “Special Features” (a.k.a. – fluffy filler). Just kidding… here’s a follow-up to Fr. Wang’s mustang, Xīwàng (Hope). No sign of him in this clip, but I ran into about 7 smaller bands yesterday together on the Tonto Verde Ridge, under the protection of a feisty lead stallion. That guy always stomp, snorts and wants to scrap, but I finally got the subtle nod from him. That mustang approaching at the end is Mac an Tàirneanaich (Son of Thunder… or, Jimmy, for short). Normally, I’d include a bunch of commentary, but for now just enjoy the short clip and God Bless. I will say that I was intent on be mindful of Our Father for the duration of that trek. Will take your prayers out with me today. Giggling over your opening line. LOVE the music selection. Father just stepped in as I was viewing the video. He thinks the horses must love you and greatly trust you, MP. Me? I’m just streaming tears at their beauty. It’s a kind of day where your gift has brought refreshment… and hope. Thank you. Please pass on a smile to Fr. Wang for his kind comments. Not sure if they “love’ me so much at this point as they’ve gotten used to me over many, many years. Definitely, trust is building and they are truly beautiful… as unique as they all are. It may seem absurd to some to be talking about such things, but I seem to recall some fella talking about getting the wild horses back in the barn… so I intuit such things and run with it. Just imagine setting out across vast swaths of dusty desert to encounter these mustangs. Oh, each is very different but they have come together as mare and sire, little scattered bands, and larger herds –– not only to survive as a magnificent species, but to thrive like any of God’s creatures. Enter the Bureau of Land Management and other governmental bodies with their efforts to “manage” these herds. Well, you can well imagine that those efforts have done little to improve the situation. Sometimes, yes, for a brief span. Mostly, no, in my opinion, since it frequently degenerates into roundup and slaughter. How is it possible that contemporary humanity has been unable to effectively care for wild species planet wide? Keep a healthy balance? Oh… wild horses, elephants, big cats, orcas, bees… it’s all vanishing at an astonishing rate. No small wonder that the horses snort, stomp and run like the wind at the first sign of man. What a long, patient work it is to regain some trust. At first, little more than your scent on the wind. Later, you show yourself from a distance… gradually working your way in. In… back off… in…. back off… repeating this process until you one day find yourself in the very midst of the herd. Even then you walk softly, silently… fearlessly. They really have to see nothing more than a gentle, friendly, confident face… at which point you may finally get ‘the nod.’ That nod may communicate just the slightest degree of acceptance to outright submission. And everything in between. I’ve found that deciding how to proceed from that point is really the culmination of all the efforts that went before. Everything, in fact. Again, it’s a very patient work, but we can follow the lead of those who have gone before, those who are currently grace-filled and hard at work, and that which has been lovingly placed in our hearts. Oh, His Grace is truly everything! Also, I’m consoled by those who are hard at work rebuilding the barn. Smile passed along. Beautiful reflection, MP. MP, Beautiful, Wild Mustangs, a national treasure of God’s creation! One of my all-time favorite movies is HILDAGO! If you have not seen it, you will love it!. Hidalgo is a 2004 biographical western film based on the legend of the American distance rider Frank Hopkins and his mustang Hidalgo. It recounts Hopkins’ racing his horse in Arabia in 1891 against Bedouins riding pure-blooded Arabian horses. The movie was written by John Fusco and directed by Joe Johnston. It stars Viggo Mortensen, Zuleikha Robinson, and Omar Sharif. In 1890, Franklin T. Hopkins and his mustang, Hidalgo, are part of Buffalo Bill’s Wild West show, where they are advertised as “the world’s greatest endurance horse and rider.” Hopkins had been a famous long-distance rider, a cowboy, and a dispatch rider for the United States government; in the latter capacity he carried a message to the U.S. 7th Cavalry Regiment authorizing the Wounded Knee Massacre of Lakota Sioux. JF, Wonderful movie. I’ve seen it several times. As to the veracity of the story as portrayed (even giving ample leeway for artistic license0, it’s highly doubtful. There’s simply no verifiable historical documentation to support it, other than Frank’s claims. I say this since no credible authority/researcher could ever come up with a shred of proof, other than claims from Frank himself… and apparently folks that parroted his story. I’ll conceed that certain mustangs can cover distance, but it would have to have been one incredible horse to compete with Arabians. I’d just consider it an entertaining legend. I agree but Hollywood “license” made Hildalgo a beautiful tribute to the magnificent Mustang. The last scene of the wild mustangs running was magical. Such majestic creatures. Thanks MP. My pleasure. One nature pic for every one of your puns. Holy cow, those horses are gorgeous! There’s plenty of those out there too. Mostly steers (free range). I’ve taken to naming them all “Big Chuck.” I think I’m up to Big Chuck No. 57. Saw your mustang the other day too. I sure hope/pray that Jesus, Mary, Joseph & St Michael would “Show” in a Big Way ….Soon!! I fínd the symetry interesting. I had the below picture in my picture settings for a while, don’t really know why. Blood moons probably. But I do find it interesting it coincides with a St. Agnes, 12 yr old Martyr and Virgin who notably maintained her chastity quite heroically among her executioners. Further, American Holiday for Rev. Martin Luther King Jr. A civil rights Martyr of Peace. It is also a ‘Wolf Blood Moon’ whatever that is… I am hoping something to do with ‘Guad a Lupe’… arabic for Wolf river. Wolves do love to howl at the moon. Happy Feast of Jesus’ Baptism! 😉 …. but I’m still stickin’ to Old Time Christamastide … & goin’ to Candlemas!! The Actual Problem is Modernism. Here are some solid videos about Modernism from Fr. Daniel Nolan, an FSSP priest: https://www.youtube.com/watch?v=xhLiqR8n2KQ&t=1s https://www.youtube.com/watch?v=cRZfZflkoVQ https://www.youtube.com/watch?v=oUtXYXhlZDU And others. The Oath Against Modernism was instituted in September 1910 by Pius X and revoked in July of 1967 by Paul VI. It can be found here: https://www.ewtn.com/library/papaldoc/p10moath.htm I’ve given a couple of handouts to fellow parishioners including the Oath. I was thinking that perhaps the reason for the revocation is along lines of moving Holy Days of Obligation to the nearest Sunday: it’s just too much to expect Catholics to do difficult things like take and mean an oath or go to Mass. There is a lecture at Cardinal Burke’s Marian Catechists that includes a 12-question pre-quiz which basically uses Pius IX’s Quanta Cura to demonstrate that the majority of Catholics nowadays would identify that which is dogmatically not Catholic as Catholic. We don’t know better. We’re like the proverbial frogs who have been sitting in a pot full of Modernism and the heat is now on boiling. Thanks for these links, III. CD: What is your opinion of Cliff Kincaid at Renew America? One of his contributors is Dr. Alan Keyes.